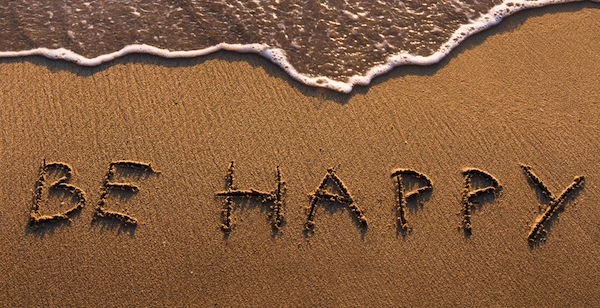 The ‘Happiness’ Startup: Rules to Live By – "If you surrender to the wind, you can ride it." Sometimes we wonder through our successes and triumphs — for whom are we doing this for? And, I have one answer: You’re doing it for you. 1. UNPLUG: The wired world connected us in wonderful and unimaginable ways, but there’s a lot of to be said for the real world. You have to learn to let go. Set aside the phone and the laptop and carve out quality time with the people that really matter to you. At the end of the day, they are the only definition of what’s real. Time is actually our greatest virtue. Cherish each of these real moments. 2. KEEP ON LEARNING: At 16, I dropped out of high school — but I never stopped learning. On the contrary, that’s when I learned how to learn. Feeding the brain is a strong component to happiness. Never relax or rest on your laurels; always look for ways to give more than what’s expected from you. Challenge yourself. Open your mind and keep it open. And remember: There is nothing you can’t do. When others see obstacles, look for opportunities. Dream big. Hustle harder. 3. GIVE BACK: There’s a quirky bumper sticker that asks people to “practice random acts of kindness.” And there’s some truth to this life lesson — as long as it comes from the heart. It reminds you of the blessings you have and what you should be grateful for, including all the basic things we take for granted. It also allows you to contribute to something greater than yourself. And, whatever you believe in — a higher power, the law of attraction or just karma, this will further fuel your success. 4. STOP THINKING TOO MUCH: It’s alright not to know all the answers. The answers will come to you when you least expect them. Trust your gut. We are complicated creatures. That inexplicable feeling you get sometimes–well, it tends to be right fairly often. Try not to overanalyze it. Some mysterious Inner You is trying to help out by pointing you in the right direction. And, remember, time heals almost everything: give it time. I can summarize this lesson in three simple words, Life Goes On. 5. BE GRATEFUL FOR WHAT YOU HAVE: The only person in charge of your happiness is you. You don’t own all the problems in the world. Count your blessings, not your problems. Be grateful, because if you’re reading this, you’re already way ahead of billions others in this world. It doesn’t matter if the glass is half empty or half full; the only thing that matters is that you have a glass and your responsible for what you pour into it. On the other hand, don’t compare your life to others and don’t judge them — you have no idea what their journey is all about. So when things go wrong, just take a deep breath and then remind yourself of what your greater purpose is. Purpose isn’t defined by what you want to achieve but what you want to live for to achieve happiness. It also eliminates all fears. And, if you live a life with purpose, you’ll never be bored. 6. RELATIONSHIPS ARE EVERYTHING IN LIFE: You can always improve your connection to your loved ones. They teach us to become better people — to become the best possible version of ourselves and remind us what’s worth fighting for. They are also our biggest fans during our ups and supporters during our down moments. And, if they are family, God had his reasons for picking them — so don’t disappoint him. 7. MAKE PEACE WITH YOUR PAST so it won’t disturb your present. Own your mistakes. At the end of the day, every decision you make, even the bad ones, are your responsibility. Nobody wins when you start looking for someone to blame, so stop looking and keep moving. Forward movement is the key. You will have bad days, and more than your fair share of failures. But, it’s really about getting back on your feet, dusting yourself off, and getting on with this business of living. That’s the Big Secret of Life. You fall down, you get up. 8. WHAT OTHER PEOPLE THINK OF YOU: is none of your business. Live in such a way, that if someone spoke badly of you, no one would believe it. Don’t succumb yourself to a world where you are constantly consumed with always wondering what people think. What matters most — is what you think of yourself and if your projecting a life that you are proud of. Being invisible and successful is the ultimate power. True recognition is beholden only inside your core, the rest in the end is just temporary noise. Darkness does exist at times, but do not dwell there. Light also exists, from within. Keep it ignited, it wins. 10. FORGIVE. Most people believe in revenge, but I’ve realized that’s just negative energy that precludes happiness. We all run into people in our lives that test us, use us, hurt us or even disappoint us, but revenge doesn’t serve a purpose. God’s Karma takes care of that, and if your lucky he’ll let you watch it whenever that happens. But, focus on letting go and forgiveness. Go as far as, praying for anyone that might have hurt you. At the end of the day, we are all characters of a complicated universe. Why complicate it further by letting vengeance devour your day. If you forgive, you learn and move on. Never regret a single character in your journey. If they weren’t part of your destination, they were just preparation. Ignore the world. Keep doing you. And, eventually it will have no option but to revere what you do best. Life is just a big empty canvas. You create your own art. And, then you decide how to turn into a masterpiece. Close your eyes and think with your soul. Dream Big. Dream of greatness. Dream of what defines happiness. Then figure the path that will lead you there, while knowing the difference you are going to make. Next Article Nelson Mandela, 20 years in prison for freedom.